Randy Fong joined the Academy staff in 1998 as freshman advisor and college counselor. His devotion to his responsibilities, his heart-felt concern for each student and his persistent passion in working towards his mission of ensuring that every Academy graduate has viable options for college is recognized by students, parents, college recruiters and his colleagues throughout the state of Hawai’i. 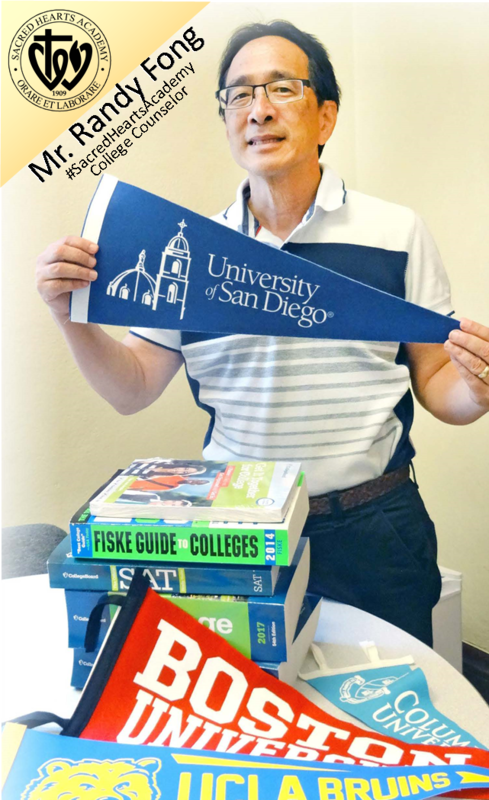 His role as a college counselor begins when students enter Junior High, and he works with the school’s counseling team to prepare them for thinking about career possibilities, strengths, interests and goal-setting. However, at junior year, efforts shift to a “higher plane.” Then, he not only assists families “find the right fit” for college, but he also helps them decipher the complicated layers to financing higher education. In addition, Fong spearheads the Academy’s Early College Program, which allows students to take classes to earn college credits towards a degree while in high school; this year 47 students are enrolled. He also is the “force” behind the success of the Junior Reserve Officer Training Corps (JROTC) Program at Saint Louis and Punahou Schools. And who is he as a person? No matter what the task, the University of Hawai’i and University of San Diego graduate always has a positive and joyous disposition that genuinely impacts his students.